The annual Wandsworth Artists’ Open House this year is running over two weekends, the 6th-7th of October and the 13th-14th of October. This event is a fantastic opportunity for people to discover and enjoy the creations of artists within their own neighbourhoods. The various showcases have been split into five trails you can follow across south London, these are Battersea, Tooting/Furze, Wandsworth, Southfields, and Putney. If you have an interest in a particular style or medium you can filter locations on the Wandsworth Artist’ Open House website and create your own personal trail. This year JOHNS&CO will be hosting local award-winning design brand Carmen Constantine, at our Nine Elms office on Saturday 6th October and Saturday 13th October. You can register your interest for this free exhibition here. Carmen Constantine was founded by Carol Wilson-Frith, and has been nominated for and won various awards including ‘Best Innovative Cabinet Range’ (Design Interiors Event, 2007), and Small Business of the Year, semi-finalist (Venus Womens Awards, 2018). Carmen Constantine will be displaying stunning examples of their high-end sculpted wire-stitched wood furniture. During this event, you will be able to learn about the craftsmanship that goes into creating these beautiful bespoke pieces through a multisensory experience encompassing film, scent, texture, and touch. As well as the beautiful furniture on display you will also be able to sample and purchase their aromatic diffusers and scented candles. 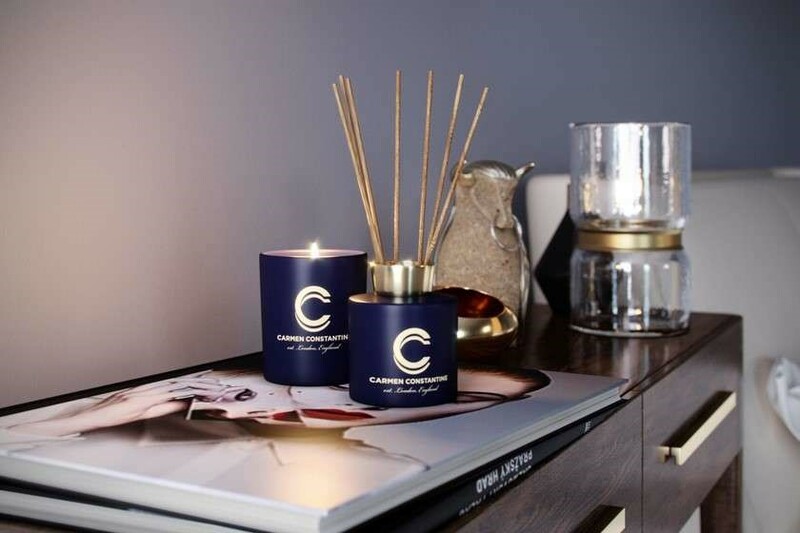 Visitors will have the chance to enter into a competition to win one of their candles (retail price £50-£125), so make sure you pay a visit to our office in Embassy Gardens for a chance to win.